5 small bathrooms that will make you forget about large ones! Looking for ideas to you make your small bathroom slightly more unique? Today we will inspire you with suggestions from some of our top expert professionals, discovering five small bathrooms that are so gorgeous that you will forget that large bathrooms even exist. These little bathrooms each show us how you can bring a very different look and feel to this area of the home, showing us how many options there truly are. Even if you have a limited amount of square metres available, your bathroom can be incredible! 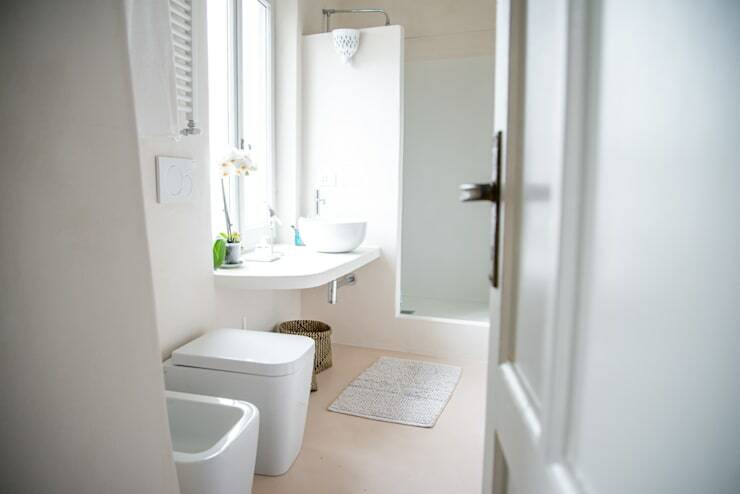 This long and narrow bathroom packs quite a punch thanks to its cosy and bright design with light colours and very simple, yet sophisticated furnishings. An idea to copy is the diamond-shaped white cladding on the walls, which is a very original and elegant alternative to traditional square or rectangle tiles. The result is a composition that has quite a wonderful effect, distracting the eye from the size of the room. It is also reflected by the large mirror on the opposite wall, thus amplifying the perception of space. 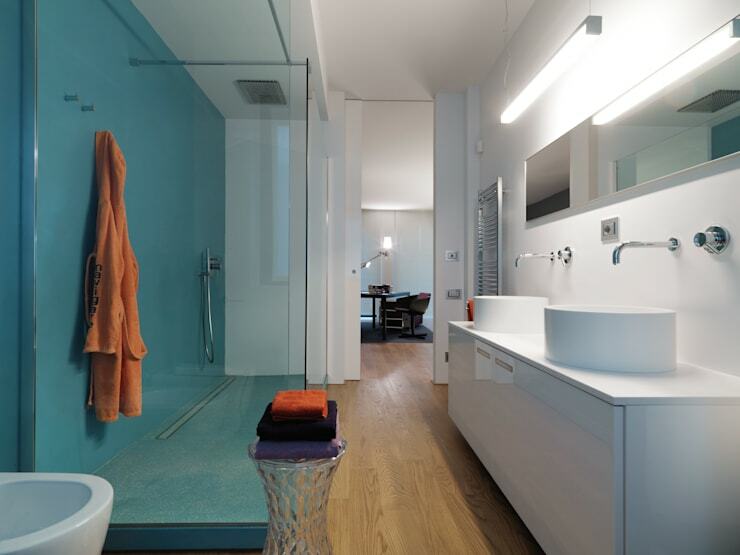 This bathroom is characterised by the contrast between the bright blue wall behind the shower and the neutral tones used for the rest of this room, in this small, modern and lively bathroom designed by Studio Antonio Perrone Architects. 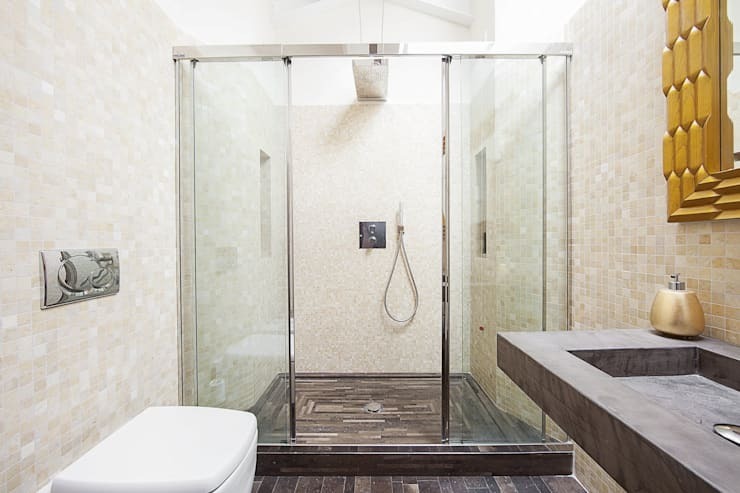 The length of this small environment has been maximised, with the designers choosing to put a gorgeous large shower in this room rather than a bath. There is also plenty of space for a double sink—the ideal solution for a large family, especially in a house that only has one bathroom. This bathroom is inspired by ideas and colours from distant countries, resulting in a very stylish little space. This environment of reduced dimensions has been made special thanks to the choice of materials, which take on shades of the sand. The wooden elements bring in a touch of the tropical. Take note: the floor and the shower tray are finished with a wood effect, which packs quite a punch. It's also inexpensive and extremely functional. If you love wood, with its warm warm tones and rustic design, then you'll fall in love with this elegant solution that has been created by these design professionals. 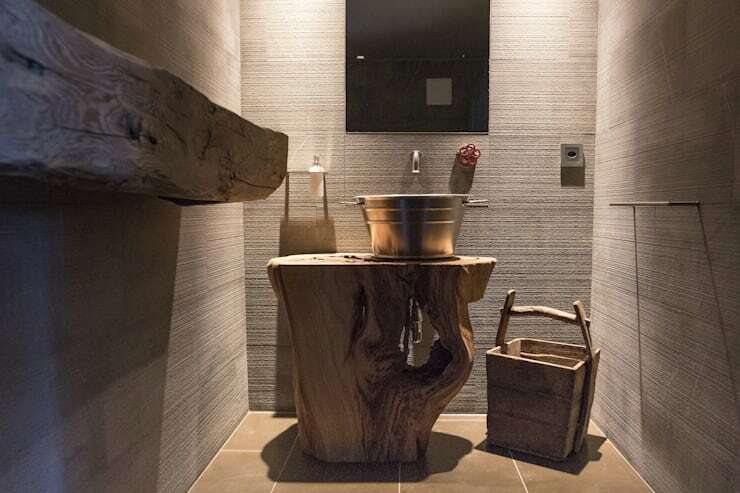 This tiny bathroom is simply irresistible with its raw, wooden furniture that supports the base of the basin and is used for the shelves. The result is a very unique space, which immediately captures the attention of those who enter the bathroom, which distracts from the size. 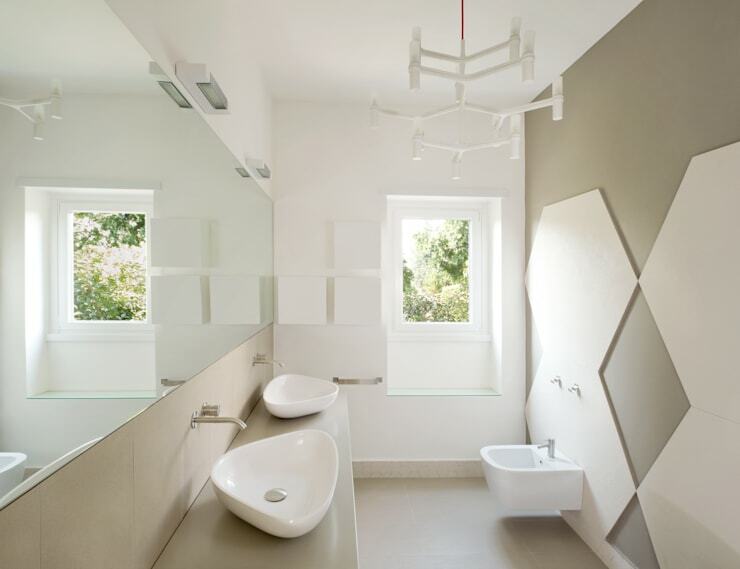 We conclude our review of these small bathrooms with this stunning design that is pure white. The result is a small bathroom that is romantic and as white as a cloud. This seems to cancel out the size, amplifying the perception of space in this room. What you should copy from this design is how the designers have added a gorgeous little pot plant to the space, which introduces a very natural and refreshing sense of decor and design to the space. Also have a look at this brilliant, beautiful bathroom trends.